Costa Rica boasts a good number of groundbreaking Ticas, each of whom has shaped the country in myriad ways. Ana Istarú has taken her place among them as the quintessential “Renaissance woman.” In a career spanning three decades, the San José native has become an accomplished poet, playwright, and actress – and she can even deliver a good zinger. On March 11, the National Theater will present short theatrical works by Istarú, partly to celebrate her astonishing oeuvre, and partly to make you laugh. 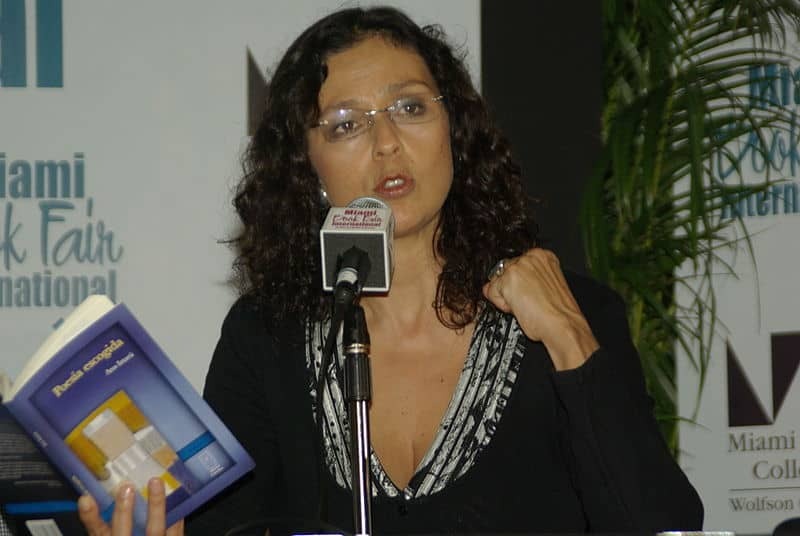 “Theater and Humor with Ana Istarú” is a series of excerpts from her works “Baby Boom en Paraíso” (“Baby Boom in Paradise”) and “Hombres de Escebeche” (“Men in a Pickle”). Istarú is acclaimed for her unflinching interest in difficult topics. In her recent one-woman show, “Virus,” she took on AIDS, cancer, and family secrets, creating a dozen distinct characters. Istarú is known for verse that explores female eroticism, and she co-wrote the screenplay for “Caribe,” an intensely political film about Caribbean farmers and the developers who seek to exploit them. The performance is designed to honor International Women’s Day, and although each excerpt covers the gamut of situations and themes, Istarú complements her comic writing with serious issues, often about gender relationships – sexuality, family, and motherhood. If you have a strong grasp of Spanish or want to improve your skills, Istarú’s work is a great opportunity, as she masterfully mimics different Costa Rican dialects. “Theater and Humor” is also the perfect sampler of local writing, from both an accomplished playwright and an extraordinary mujer. “Teatro y Humor con Ana Istarú” takes place March 11 at the National Museum, downtown San José. 10 a.m. Free. Info: RedCultura.